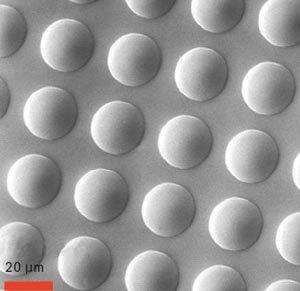 I just read an article at optics.org about micro-pixellated LEDs, or MicroLEDs – these LEDs arrayed elements, with thousands or even tens of thousands of sources covering a surface. The University of Strathclyde’s Institute of Photonics in the UK is at the edge of this technology right now, and leading. 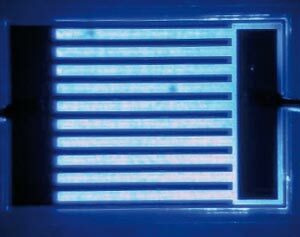 They’ve developed, according to the article, the highest performance microLED arrays ever. Researches at the Institute are also working on different shapes as well – like this micro stripe. Exciting! Go read the article, it’s pretty lengthy, and I couldn’t possibly have done it justice here.